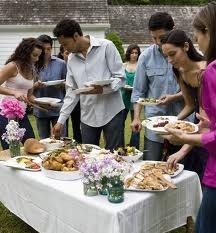 : Housewarming parties are favorite parties of all time. Where you get to show off your new home with all your new things like kitchen gadgets, furniture and decor. We can make housewarming parties take shape the way you want them to be. 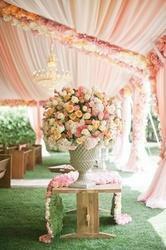 We have expertise in Indian Wedding Decorations, Wedding Hall decoration and other associated services. We are a well known service provider in the field of Party Decoration Company and have a huge base of satisfied customers who we have built over a period of time by our industry leading quality and unmatched turn around times. Engaged in the providing services such as house warming event services. We will provide excellent services to the customers which they prefered, we are the top experienced company.We will provide the all type of services. Keeping in view assorted requirements and demands of our honored clientele, we are competent to render House Warming Catering Services to our customers. Our service is accomplished using the advanced techniques. Brajwal Event And Wedding Pvt. Ltd.
We, at Kitchen Mantra also involve in rendering catering services for house warming ceremonies, family get together and many other family functions. Our tailor made catering services, pertain to the specific requisites of both Vegetarian and Non-Vegetarian lovers. Reshma Caterers is your one stop shop for organizing unmatched and unparalleled catering services for house parties. We are specialized in handling everything from food production to food presentation. Food presentation is very important because that's what you make you feel hungry. We will please you to a great level with our excellent food services.